Join our perfect end of August giveaway link up for August 31 – September 7, 2018. Make sure you link up and enter to win some Labor Day weekend rib chompin’, Summer-themed giveaways. 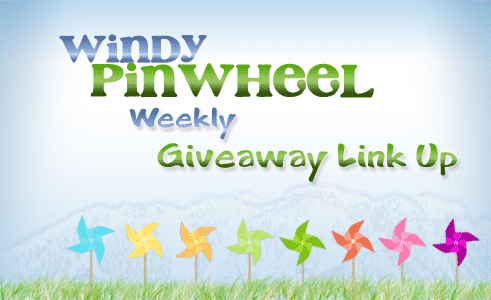 We, at Windy Pinwheel, are very excited for some fantastic on fire summer-themed, month of August giveaways. We always love sharing our giveaway link-ups/links with you. We want you to stay in the know by sharing some of the most amazing family-friendly and kid-friendly link ups, giveaways and contests found on mommy-blogger or other websites around the internet as a service to you, our reader. One way we can provide some of these great opportunities is by sharing your fantastic easy-to-find giveaway contest posts to linkup to them, right here on our site, Windy Pinwheel. Quick poll: Are you here sharing your giveaway or are you looking for a giveaway to enter? Both? Leave us a comment below on our end of August giveaway link up.